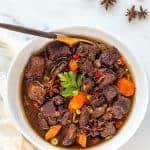 Slow cooker beef stew recipe with Asian inspired flavors. This dish tastes too good for something so easy to make. I prefer the taste to beef stews that are restaurant-bought, plus your money goes ten times as far when you make it on your own! The dish is very rich in flavor and tastes even better the next day. What is Chinese Five Spice Powder? Five-spice powder is an oriental blend of five fragrant spices ground together, consisting: cinnamon, star anise, cloves, fennel seeds and Szechwan peppercorn. Slow cooker meals are my favorite. It’s so nice to have dinner ready and waiting at the end of the day. I know my family will enjoy your beef stew. This stew looks delicious and perfect for a weekday dinner now that the weather is cooler. This looks delicious! The thing I love about stew is how easy it can be to make and simply let sit and simmer. This looks like an easy one that would taste great! Oh my goodness I want to try this so bad! I love stew and I love Asian food so this will be a match made in heaven for me. This looks delicious, I love using my slow cooker. The Mister isn’t a fan of traditional beef stew but this just might work. Thanks for sharing. That’s such a great idea. I make beef stew in the slow cooker all the time. I’m looking forward to trying this Asian twist. Thanks for sharing. Now you beef stew looks really really good! I am a big fan of throwing things into a pot and being bone. I love how you have added different spices to the stew to give it its unique flavor. This stew looks amazing!!! I love stews that are quick and easy to make as well for winter dinners. I never would have thought to put an Asian twist on stew! And I love that it can be made in the slow cooker. Thanks for sharing. This beef stew looks and sounds so delicious. I can’t wait to try this recipe! This beef stew would feed a hungry crowd for sure! 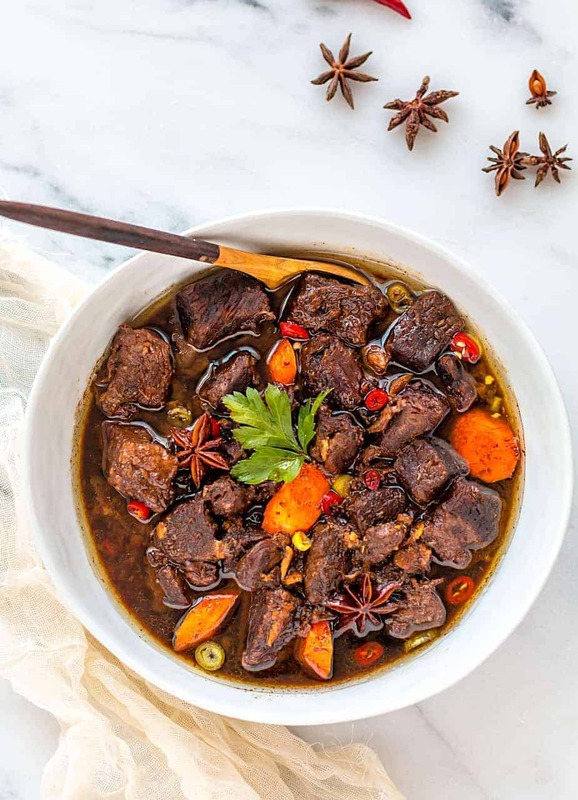 I have used Chinese Five Spice in several recipes before but not a beef stew like this. It sounds really good. I love a good slow cooker beef stew and yours looks amazing!! Great recipe!! 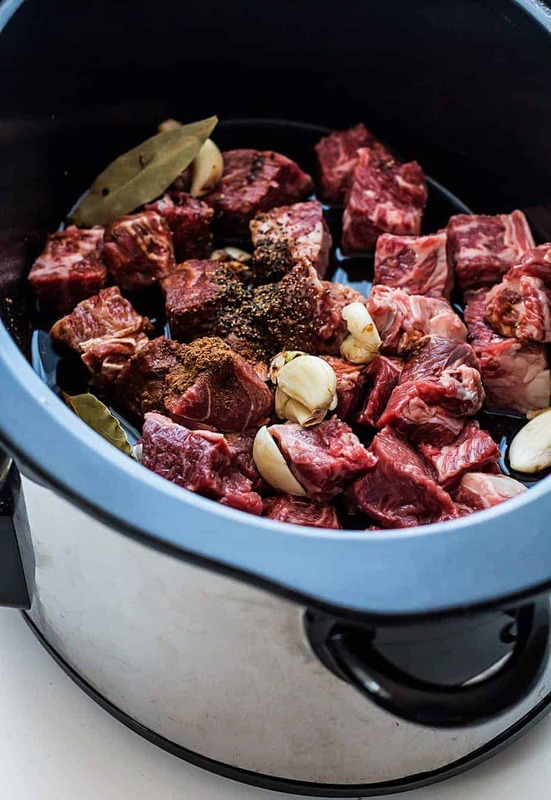 This Asian style beef stew cooking in a slow cooker sounds so good. I love making meals in the slow cooker because they just taste so much better. This recipe I am going to have to try for sure. Thanks for sharing the recipe. I can only imagine how amazing this beef stew smells while cooking. Chinese Five Spice Powder is a wonderful addition to spice collections. This looks super delicious. I never tried making beff stew in slow cooker yet. I wish I could fin bay leaves here. Yummy. I needed a new stew recipe to try. Thanks for sharing.